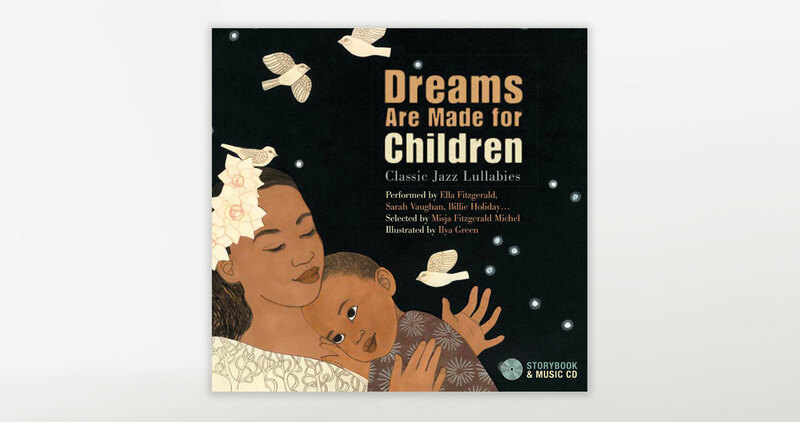 Performances by Ella Fitzgerald, Sarah Vaughn, Billie Holiday, Nat King Cole, Judy Garland, Debbie Reynolds, Eddie Fisher, Frank Sinatra, Chet Baker, Mel Tormé, Peggy Lee and Chris Connor A throwback to the days of jazz singers like Sarah Vaughan and Ella Fitzgerald, this book with audio and whimsical dream-like illustrations captivates from start to finish. 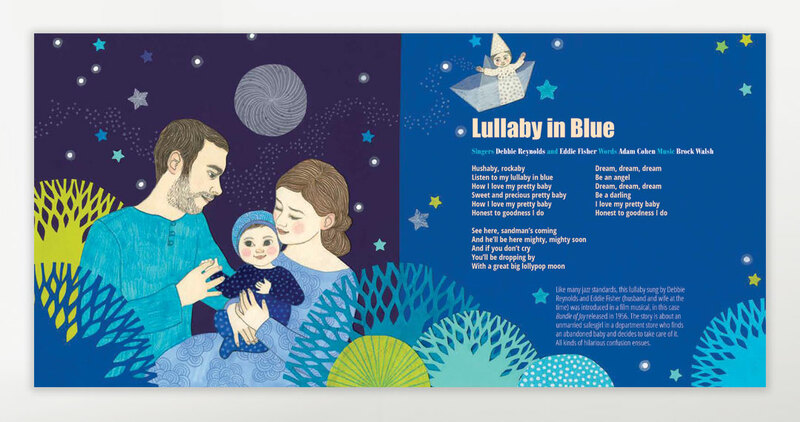 It pulls together an immaculate concoction of 12 jazz standards performed by several singing legends that will lull babies into a sweet, blissful sleep. 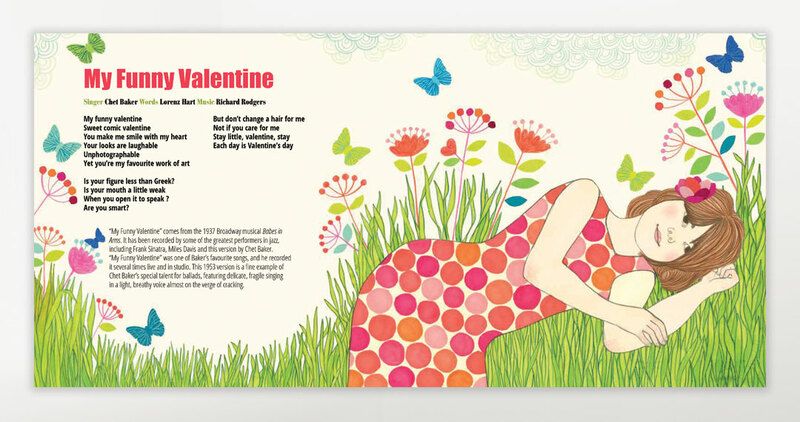 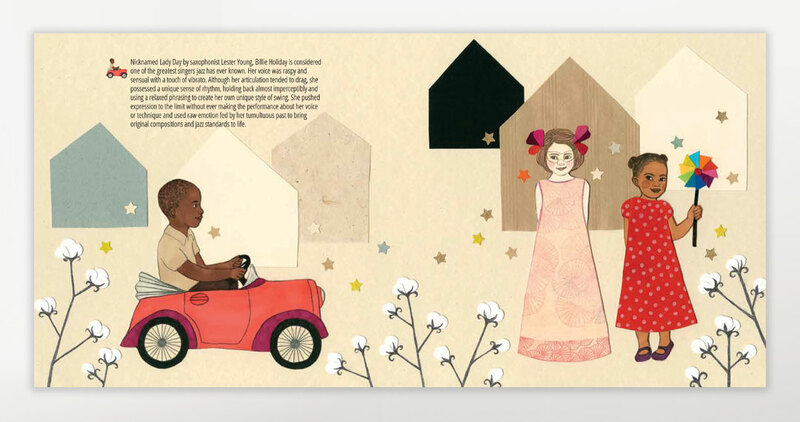 Background info and singer bios accompany each featured song in this must-have book for jazz fans with a young child.